Pahalgam is a town and an advised zone board of trustees in Anantnag area of the Indian condition of Jammu and Kashmir. It is a prominent visitor goal and slope station. 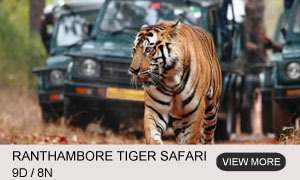 It is found 45 kilometers (28 mi) from Anantnag on the banks of Lidder River at an elevation of 7,200 feet (2,200 m). Pahalgam is the central station of one of the five tehsils of Anantnag locale. 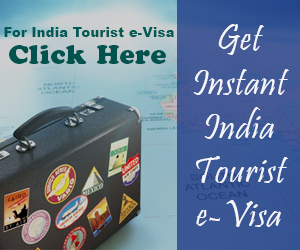 Pahalgam is related with the yearly Amarnath Yatra. 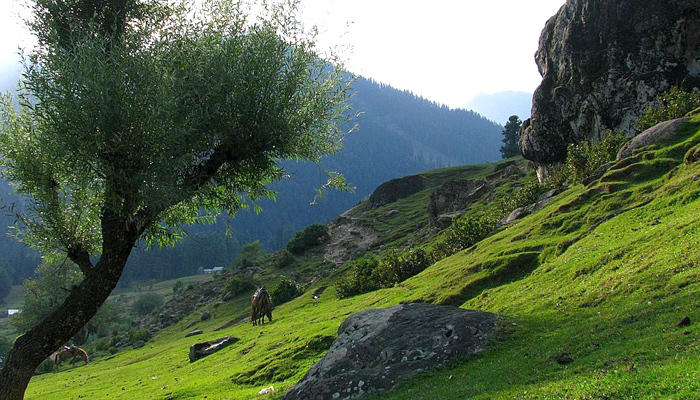 Chandanwari, found 16 kilometers (9.9 mi) from Pahalgam is the beginning stage of the yatra that happens each year. 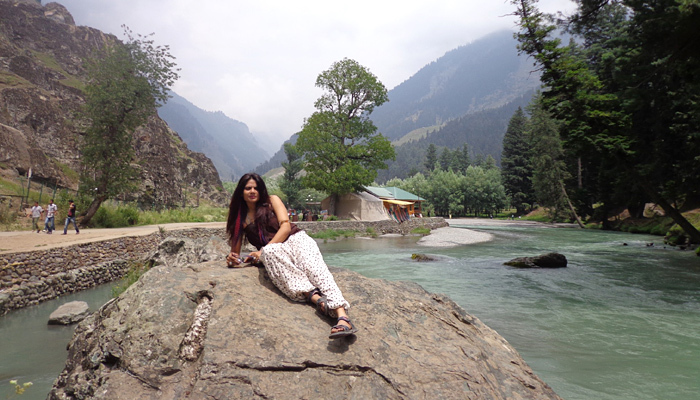 Betaab Valley, arranged only 7 km up on Pahalgam, has got its name from Sunny Deol’s motion picture, Betaab, which was shot broadly around there. Encompassed by snow-secured mountain tops and thick pine and deodar woodlands, this valley is the mouth of River Sheshnag. There is a delightful garden in the valley, with an extension to cross the waterway. 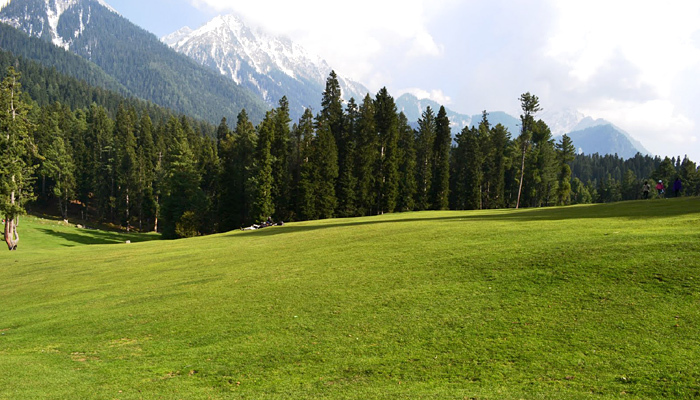 Baisaran, arranged 5 km far from Pahalgam, is a rich knoll concealed with thick vegetation. The knoll is dabbed with thickly lush backwoods of pine, and gives a perspective of the delightful snow-clad mountains that encompass it from all sides. 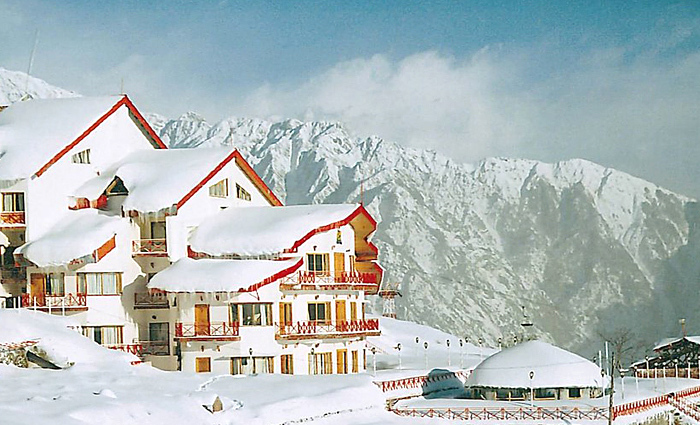 Aru is a resort town, situated at a separation of 11 km from Pahalgam. 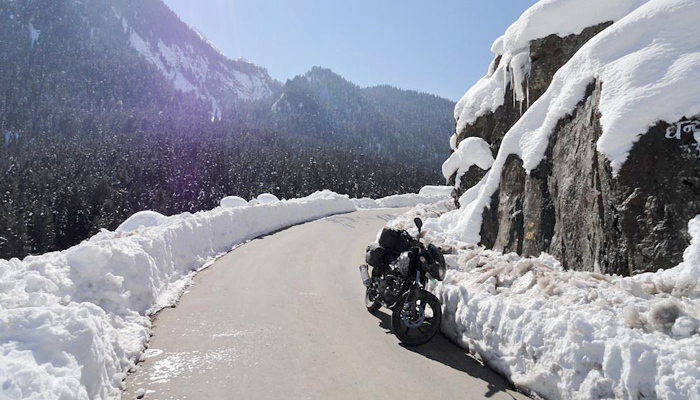 Lying at a rise of 2,408 m, this knoll prompts the well known trek through Lidderwat, stretching out to Kolahoi Glaciers (36 km) at an elevation of 3,400 m. Explorers going by Pahalgam can achieve this town by going on a motorable street or strolling along a mountain way. 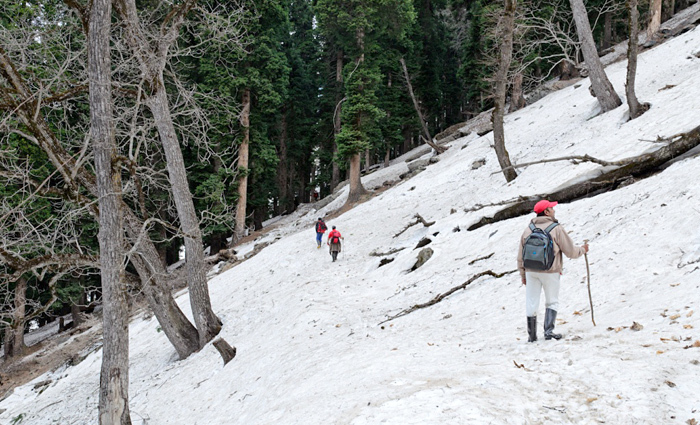 Chandanwari, arranged at a separation of 16 km from Pahalgam, lies at a height of 2,923 m. Acclaimed for its snow connect, this area fills in as the beginning stage of the Amarnath Yatra that happens each year. Sheshnag Lake, lying at a rise of 3,658 m over the ground level, is arranged 27 km far from Pahalgam. 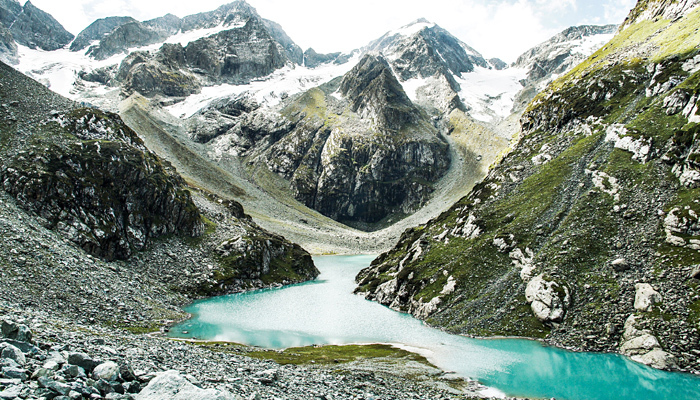 This greenish blue lake is secured with ice, after which it is utilized as an on the way goal in Amarnath Yatra. It is the following stoppage from Chandanwari, which is arranged around 11 km a long way from the lake. 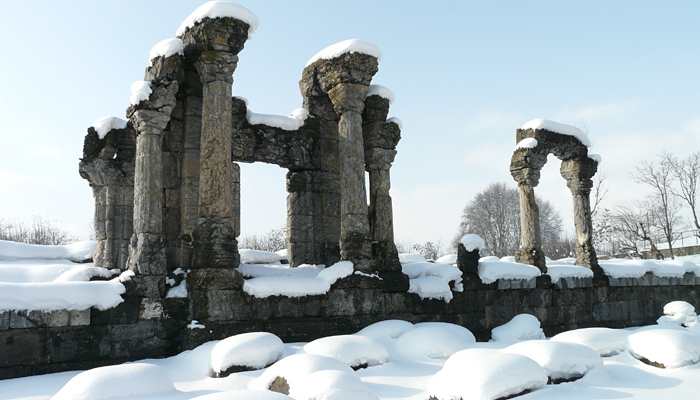 Sun Temple, arranged in Martand that is 64 km from Srinagar and only 7 km from Anantnag, has a place with the period of Pandavas. 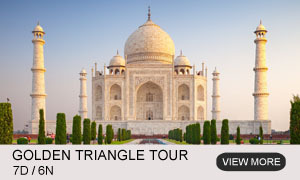 This sun sanctuary was worked by King Lalitaditya Muktapida (699 – 739 AD). Nonetheless, a few legends uncover that the establishment stone of this sanctuary was laid in 370 – 500 AD by King Ranaditya Muktapida. 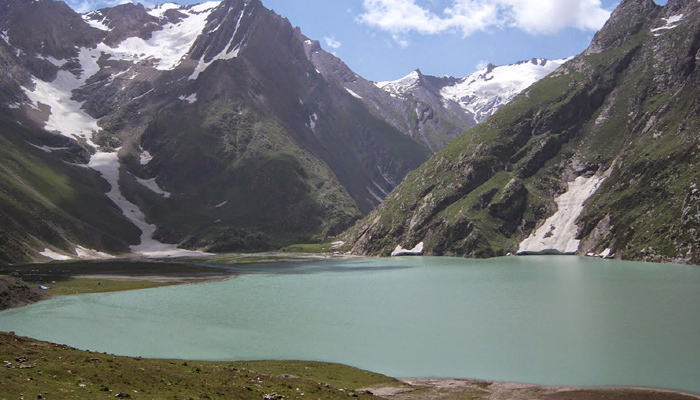 Tulian Lake is situated at a height of 3353 m, 11 km far from Baisaran and 16 km from Pahalgam. This snow-secured lake is encompassed by pinnacles that ascent to a stature of more than 300 m over its shores. Tulian Lake is set along a trek course through Baisaran, and in this way can be come to by procuring horses from close to the focal point of the town. Kolahoi Glacier, the biggest icy mass in Kashmir, is spread over a territory of 11 sq km at a height of 4700 m. Some portion of the forceful Kolahoi Peak, this ice sheet is likewise the wellspring of the Lidder River, the principle wellspring of Kashmir’s biggest stream, Jhelum.